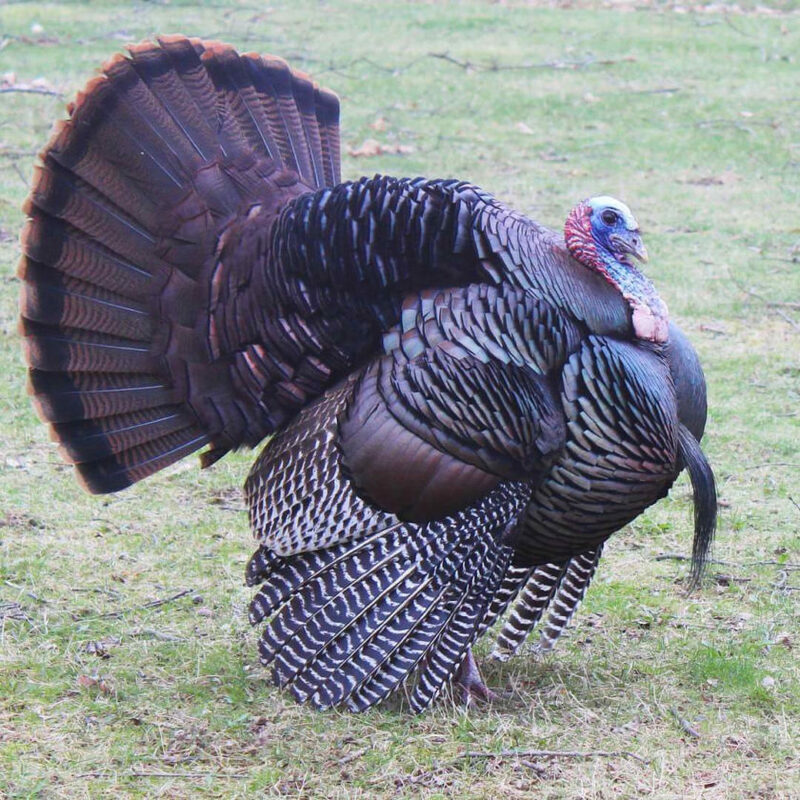 Submitted Photo/Lauren Lotze-Wagner Lauren Lotze-Wagner recently took a photo of this wild gobbler in North Lima. Do people still go camping? I’m sure they do, but is it real camping in a 40-feet fifth wheel trailer with a slide out kitchen, den and hot tub? That is not roughing it enough to be called camping. With real camping you will occasionally get rained on and have to cook over a drenched, smoky campfire. My introduction to camping came at an early age when my dad bought me a genuine army surplus pup tent. I was never in the military, but I’m sure that some older veterans remember these tents. Mine came in two pieces that buttoned down the middle and had two folding tent poles. I guess one soldier would carry his half of the tent and hope his buddy showed up with the other half. If the buddy didn’t show up one half could be erected as a lean-to. May God bless our soldiers who put up with so much to keep us safe. The tent was just the start of my camping adventure, but thankfully I could buy army surplus supplies at Dickey’s. Since my serious camping began when I was about 10 years old and WW II had ended just a couple years before that there was a lot of army surplus available. What I’m sure many GIs cursed at was like treasure to kids like me and my buddies. Even though our early adventures were limited to our neighborhood backyards, every guy needed a genuine army canteen. Each canteen came with a canvas case and had a cup on the bottom that could be used to heat soup. I still miss the nice metallic taste of these canteens. Then I needed an axe and of course a machete. You never know when you might need a machete to hack your way through a backyard jungle. I never found a backyard jungle, but over the years I’ve used the big blade to hack away briars. The machete is stashed away somewhere in my garage, along with its original canvas army sheath. It might become a family heirloom. I eventually grew up and my wife, Barb, and I started a family with two kids of our own. Raising a family didn’t leave much in the way of discretionary funds so we began family camping with a borrowed wall tent. We only used it once because the temperature dropped that night and we ended up sleeping in our old station wagon. It was quickly decided that we needed something to keep us all off the ground. The answer was a Nimrod tent camper. Now, before you accuse me of luxurious camping, the Nimrod was nothing more than a small trailer with a tent attached. Our camper was just an empty shell until I used some leftover paneling to build a couple cupboards that we had to move every time we closed the camper. We bought a special horizontal propane tank and my dad welded a bracket on the tongue to hold it. The stove was an old cast iron two burner that ladies once used to boil laundry. A hose ran from the propane tank to the stove so we could use it on a picnic table to cook. I guess you could say our camping outfit was just a small step up from sleeping on the ground in a pup tent, but it expanded our horizons. We started locally at Guilford Lake and eventually spent two weeks traveling to the rocky coast of Maine and then to Florida and other destinations. For a young family on a tight budget it was perfect. Warmer weather is on its way and camping is a great way to pry the kids away from the TV and start them camping even if only in the backyard. Even better would be to take them camping to one of our local state parks. You don’t need an expensive camper. Leave the electronics at home and enjoy family nights sitting around a campfire incinerating marshmallows. I guarantee that you and your kids will always cherish these memorable trips.